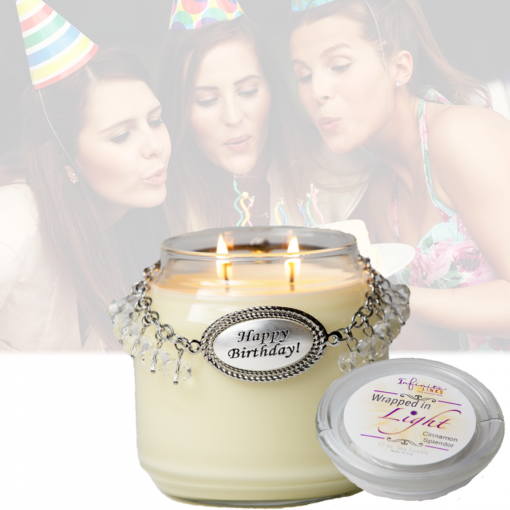 Home / Shop / Events / Wrapped in Light – Happy Birthday! Wrapped in Light – Happy Birthday! Wrap your family & friends in LIGHT, love, and warmth! Wrapped in Light Soy Candles. 17-ounce soy, 130+ hours of clean burn time in Cinnamon Splendor and made in the USA. Capture all your seasons of life with our products. Includes One Candle, One Link + 1 life sentiment of Happy Birthday! 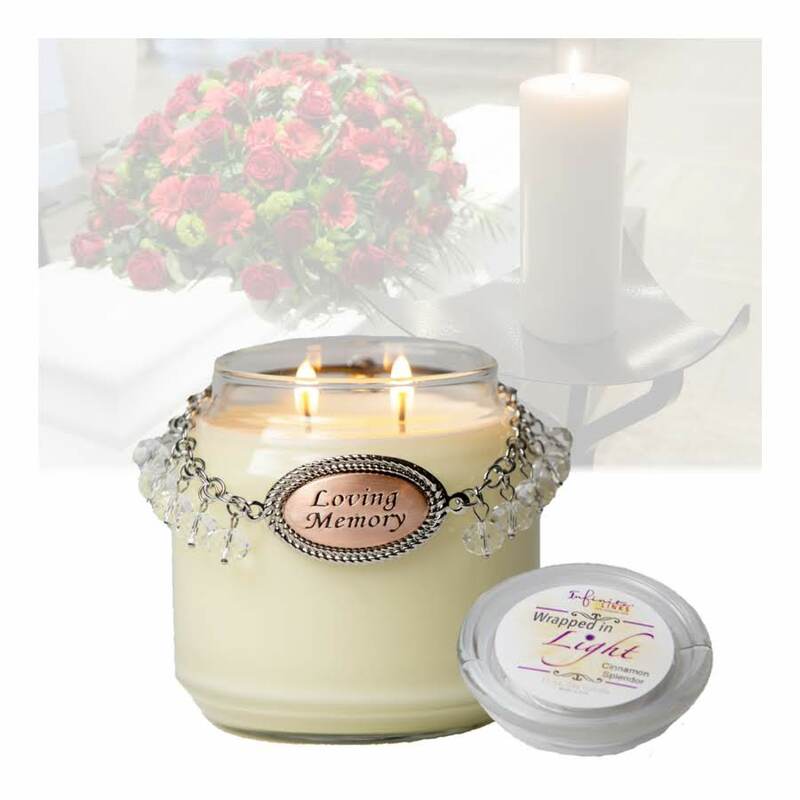 Our Cinnamon Splendor is a perfect blend of warmth and spice! This rich cinnamon scent smells like cinnamon rolls baking fresh in your oven. 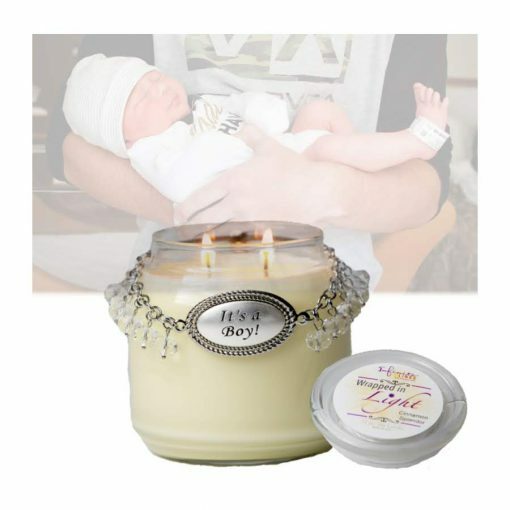 Wrapped in Light – It’s a Girl! 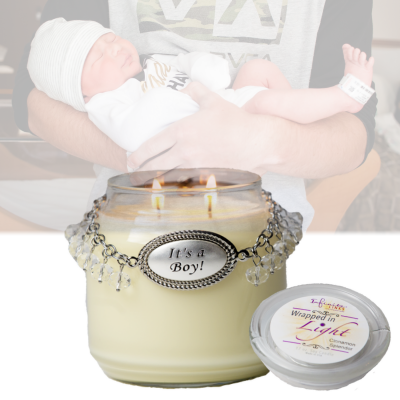 Wrapped in Light – It’s a Boy!